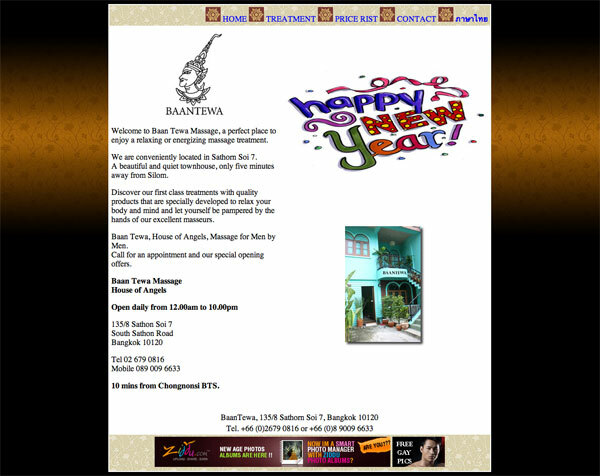 Welcome to Baan Tewa Massage, a perfect place to enjoy a relaxing or energizing massage treatment. 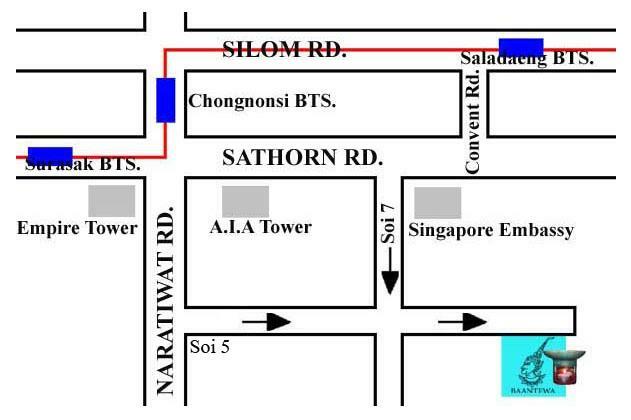 We are conveniently located in Sathorn Soi 7. 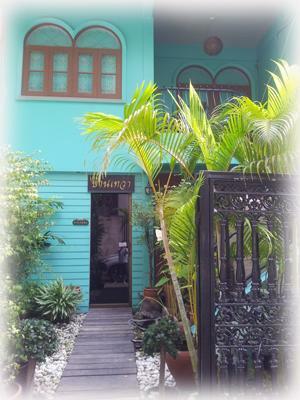 A beautiful and quiet townhouse, only five minutes away from Silom. Discover our first class treatments with quality products that are specially developed to relax your body and mind and let yourself be pampered by the hands of our excellent masseurs. Baan Tewa, House of Angels, Massage for Men by Men. Call for an appointment and our special opening offers. 10 mins from Chongnonsi BTS. Attached is a map for Baan Tewa. If you have been here, please give us your experience, review, photos, etc. quiet, not that many boys available-though more seem to be able to be called. Choose from fotobook- only see your choice after!Bit of fair walk from Silom tourist ghetto area. Easy walk from Chong Nonsi BTS, map above accurate, I visited in Dec 2014 and was happy with massage and a boy choice, outcalls 7/24. Yes you are picking up from the book so good place for those who hate intimidation of picking up from the line. welcome to the forum , good start dozzie ! I went Baan Tewa at about 2pm today. A waxing salon now operates on first floor. Baan tewa operates from second floor onwards so need to walk up the stairs. 5 boys to choose from. I choose the shortest one. About 1.6m tall. Said his name is Ling. Very skilled at massage. Trained at Wat Pho. Started work at Baan Tewa for one month. Very sevice oriented and really took good care of me, including showering for me. Right balance of proper massage and special service. So happy was I that i tipped him the highest amount i ever tipped any massage boy - 2000 baht! The cost of the 90 minute aromatherapy massage was 900 baht. Boy is clean shaven - a first i encountered among massage boys. Maybe he got his waxing at the salon below Baan Tewa? But highly recommended.